To all you who have traveled this summer, welcome home! I hope you have enjoyed your wanderings. 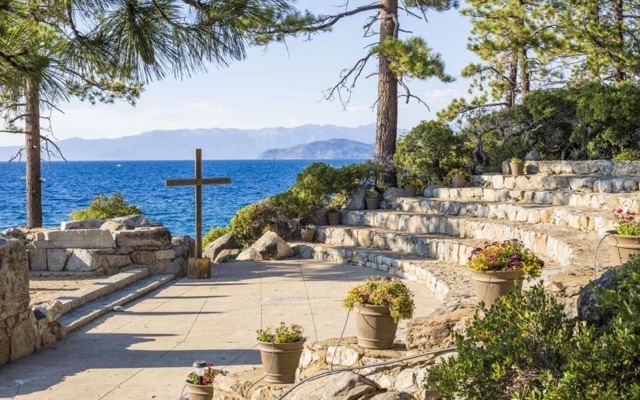 I took two major trips—the first to General Assembly in St. Louis, and the second to Week 1 of the Art of Transitional Ministry at the Zephyr Point Conference Center on Lake Tahoe. The latter was rather pragmatic. I attended ATM in order to meet prospective interim pastors. A wave of retirements looms. 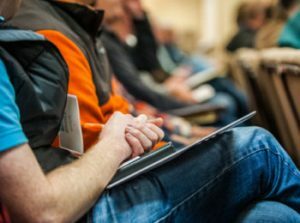 Long-tenured pastors in increasing numbers will finish their full-time work in the next few years, and congregations will need transitional expertise. But experienced interims are also beginning to retire. We can no longer look to the same bullpen. So I spent a week on the shores of Lake Tahoe in the name of scouting upcoming prospects. Somebody had to (I did meet several promising candidates). Sitting in on General Assembly, on the other hand, is often less practical. I go less to facilitate business than to sense each gathering’s unique spirit. When the plenary meets, what character does it take? What values does it manifest underneath the presenting issues? How is the Spirit of God fiddling, perhaps meddling, with the Church? I struggled more than usual to identify a broader theme in this year’s Assembly. That is partly because it did not vote to send many dramatic Book of Order amendments to the presbyteries. The most far-reaching suggestions were either disapproved or referred. How does this suggest the mind of the Assembly? It responds to the idea of repealing the Johnson Amendment in the United States tax code. If the presbyteries so amend the Book of Order, any congressional action on the Johnson Amendment will not matter. That proposal opened a window onto an Assembly theme. Though the Assembly spoke against endorsing particular candidates, it did not hesitate to speak about the positions identified with political leaders. Especially on matters concerning immigration, gun violence, and racism, it clearly stated its opposition to many of the actions of the current presidential administration. It was as though the General Assembly wanted to say clearly, to itself and to a watching world, “We do not agree.” If the “promotion of social righteousness” means taking positions on public issues, the Assembly fulfilled at least one Great End of the Church with abandon. And though I cynically question anyone’s interest in a GA position statement, sometimes the Church must speak if only for its own integrity. But then came August. 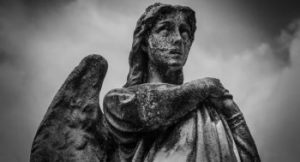 If in June a part of the Body of Christ decried the ways secular leaders had allowed harm to the small and weak, in August the guilt was upon the Body itself. On August 14, a grand jury in Pennsylvania reported a large-scale cover-up of sexual abuse by the leaders of the Roman Catholic Church. I suppose we could point fingers at the Catholics. 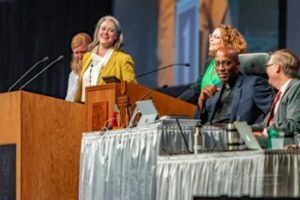 But if it is true that the prevalence of sexual abuse within their fold is comparable to the prevalence in the larger society, then why should we expect things to be any different among Presbyterians? I do not raise the equivalence to excuse the Catholic Church. I raise it to say that we too stand condemned, because we are probably no better. So at one moment Christ’s people find themselves like Elijah, issuing a prophetic warning against a government that has hurt God’s little ones. And the next, they find themselves like David, guilty of the very sin they condemn. I wish it were not so. I wish we needed neither to declaim nor repent. Yet perhaps this is part of the “already, not yet”—a period in which we are called to speak God’s truth bravely, all the while watching for the moment when we must once again be convicted of it ourselves. And soon the night of weeping will be the morn of song! 1 See Item 06-16. Note that I say this with hesitation. When the Office of the General Assembly publishes a complete list of the proposed amendments, I may recognize some momentous proposals that I have currently overlooked. 2 “The Church’s One Foundation,” original 1866 words by Samuel John Stone. The gender-exclusive lyrics have since been modified to read “We see her sore oppressed” or “This world sees her oppressed.” The second option seems more fitting with the sense that the “scornful” onlookers reside outside the Church.